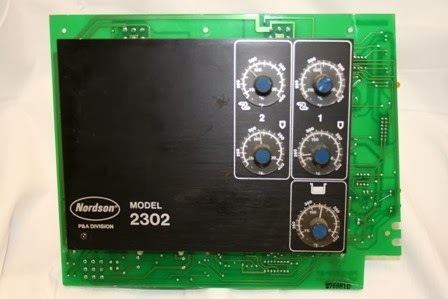 Did you call Nordson and find out that your Nordson circuit board is OBSOLETE? Don't feel forced to buy a new complete glue melter at some outrageous price!!!! There is an alternative. Keystone Industries can exchange your old circuit board for a rebuilt one. OR, we can rebuild your old circuit board. We also repair Slautterback boards too! 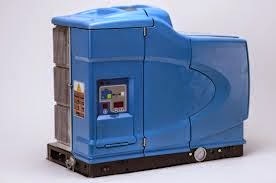 Extend the life of the older Nordson glue melters and don't be put in a position of having to spend BIG money. There are plenty of other places you may need to spend your budget. If you have old circuit boards lying around, consider sending those in to Keystone for rebuild so you have stock on the shelf to prevent downtime. Keystone manufactures and supplies many more of the parts made obsolete by Nordson. Keystone is here to keep the customer's lines running without spending the big bucks.